WELCOME to the Colonial Bloodhound Club where we embrace bloodhounds and their people. This is your source for information about our favorite breed and what is happening within our region. Our region covers from Maine to Virginia. We welcome members within our region and throughout the United States, Canada and abroad. Enjoy our site and feel free to contact us with any questions or comments. 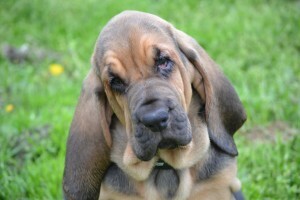 To be representative of Bloodhound owners, breeders, and exhibitors in the designated Club regional area. To encourage and promote quality in the breeding of pure-bred Bloodhounds and to strive to bring their natural qualities to perfection. To actively promote acceptance of the American Bloodhound Club breed standard by which Bloodhounds shall be judged. To protect and advance the interest of all breeds of pure-bred dogs and to encourage sportsmanlike conduct at dog shows and obedience, tracking, and trailing trials. To conduct sanctioned matches, dog shows, and obedience, tracking, and trailing trials under American Kennel Club rules. The CBC currently holds meetings twice a year at designated times and venues in the Northeast. The CBC’s main activities include sponsorship of one or more trailing trials, a regional specialty, and several supported entries. The Club also contributes financial support to area Search and Rescue teams and to Bloodhound rescue. © Copyright 2016 - Colonial Bloodhound Club. All rights reserved. || Designed by Blue Ridge Graphics of NC & Showtime Design of DE.